in Westchester and Putnam Counties. 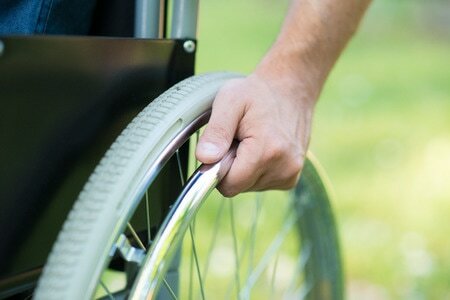 Rehabilitation clinics in Brewster, Mahopac and Somers, NY. AON Physical Therapy is the leading provider of rehabilitation in Westchester County and Putnam County. We have locations in Brewster, Mahopac, and Somers, NY. Our Orthopedic Specialists are ready to get you back on your feet again. ​Whether you're coming back from a sports related injury, battling a neurological disorder or dealing with persistent low back pain our team of physical therapists will get you back doing what you love again. Our Physical Therapy Clinics are more than just place to get your injuries fixed, issues treated, and get rehabilitated. AON Physical Therapy is a community spanning Putnam and Westchester County, NY. We offer First Aid & CPR Training, Youth Athletic Training, Reflexology and much more. AON Physical Therapy specializes in treating the pain caused by Arthritis. Our Physical Therapists will use state of the art practices and techniques to calm the pain caused by arthritic joints. Many people suffer from different types of arthritis. Arthritis is defined as an inflammatory condition in the affected joints of the body where you are having discomfort. Our therapists take you through a comprehensive program that targets the affected joints and associated soft tissue. This program will look to improve your overall posture and teach you proper body mechanics that won’t cause increased degenerative changes of the joint surfaces. AON has an affiliation with the Brewster Central School District and The Harvey School to provide athletic training services to their student-athletes. We also work with many student-athletes from the adjacent school districts of Katonah, Lewisboro, North Salem, Carmel, Somers, and Mahopac. The creation of the ACCEL-sior program has become a tremendous success. This sports-specific training program, run both during the school year as well as the summer, educates and trains students in proper stretching, strengthening, and plyometric activities. ​Outcome measures have shown both an improvement in strength, speed and power as well as decrease in injuries in those that attend. The program is tailored to the level and goals of the participant, from potential college athlete to those just looking to get in shape and battle childhood obesity. Pediatric Therapy is more necessary now than ever with many children having difficulties in school. Even acute motor control issues can lead to significant problems further down the road. Our Physical Therapists have noticed a recent increase in the last 5-10 years in the number of children needing pediatric therapy. Unfortunately, we can't ascertain why the number of kids having motor control difficulties is increasing, but our specially training physical therapists can certainly treat kids dealing with difficulties. As one of the leading providers of Physical Therapy throughout Putnam and Westchester Counties we have pediatric therapy specialists in each one of our locations. As infants and children we don’t know what “normal movement” is. From birth to three or toddler to elementary student, we have therapists who are experienced in helping the child and the parent alike. You will learn about the injury or condition that your child is dealing with, you will learn about motor control theories and how you can assist with your child’s rehabilitation at home. You will notice that your therapist will base most of your child’s rehabilitation around play. Dealing with vertigo, dizziness, blurred vision and other balancing issues can be treated with vestibular therapy. Our Physical Therapists treat many cases of vertigo each year. Many people suffer from balance issues during transfers and walking on uneven surfaces. 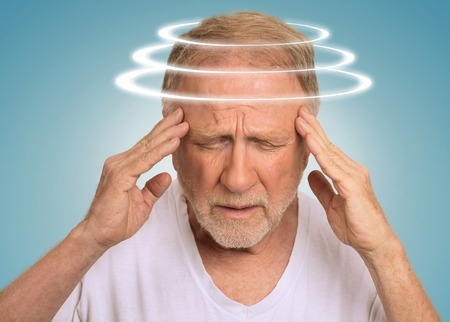 Other symptoms of dizziness, vertigo, nausea, blurred vision, decreased positional tolerance, and trouble with specific head motions are all conditions that are worked with during your rehabilitation. AON has certified vestibular therapists that assist you with working to get past your balance issues and help you return to your previous way of life. Frozen shoulders, torn ACLs, meniscus tears, and all other orthopedic injuries need to properly rehabilitated. See the experts at AON Physical Therapy today. Suffering from a torn rotator cuff or frozen shoulder? Our Physical Therapists at AON are orthopedic experts, and have been restoring function to shoulders for years. We work with youth athletes all the way up to senior citizens. The shoulder joint is one of the most important joints in the human body, but also one of the most susceptible to injury. Whether you'd just like to play Golf again, or extend your teen's sports career, we have orthopedic and sports medicine rehabilitation experts you need. AON takes great pride in our orthopedic and sports medicine rehabilitation programs. We have relationships with our local high schools as well as some local colleges to provide superior sports specific training. We have therapists who are or progressing to be certified strength and conditioning specialists. ​We work with injuries from basic sprains and strains, to more complex rehabilitation involving ACL or rotator cuff repairs and reconstructions. Your therapist will use evidence based manual and therapeutic activities to progress you through the normal phases of healing and make sure you are prepared to return you previous levels of function. ALS, Parkison's, Multiple Sclerosis and other Neurological Disorders affect thousands of people each year. At AON we strive to rehabilitate more than just knees and elbows by effectively treating diseases of the brain. Our Physical Therapists at AON specialize in rehabilitation for stroke victims. Our Physical Therapy Clinic is also one of the only clinics in Westchester, NY that specifically treats patients with neurological disorders. ​Our clinical team at AON has many years of rehabilitative care in many different types of settings. When your life brings a change that can affect everything going forward, you want a rehabilitative team that is familiar with your injuries and has experience in the type of care you need. Your physical therapy will be focused globally to improve your posture, core stability, and safety.